The European Union should be "less naive and more realistic" about its foreign policy and not be afraid to exercise power, Dutch prime minister Mark Rutte said in a speech on Wednesday (13 February). "The EU needs a reality check; power is not a dirty word. 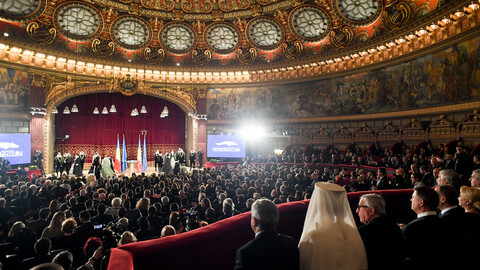 Realpolitik must be an essential part of Europe's foreign policy toolkit," he said. The wide-ranging speech will further fuel speculation that Rutte may run for Jean-Claude Juncker's job as EU Commission president, or Donald Tusk's as head of the European Council - although he has denied being a candidate for either post. "Nato remains our first line of defence and our guarantee of security, and in my opinion that rules out a European army," he said. "Today we live in a multipolar world, in which a growing number of countries and political leaders seem to believe that international relations are a zero-sum game." "This means that the EU, which was built on the power of principles, is increasingly being confronted by the principles of power," he said. "But I seriously doubt whether this, on its own, will make the EU as effective and influential as it could be, as it wants to be, and as it should be in the future," he said. 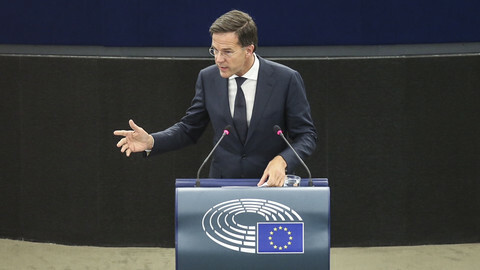 The Dutch PM noted that it was "relatively easy" for the EU to "claim the moral high ground" while depending on the United States' protective umbrella. 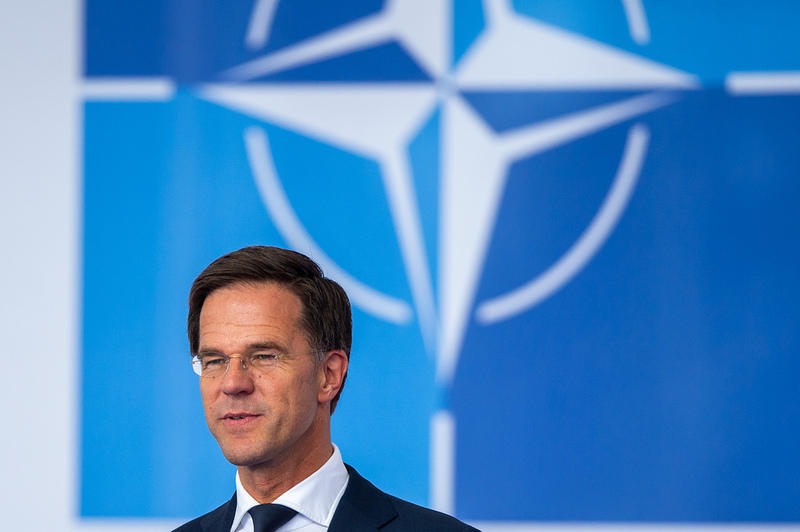 Rutte's speech also marks an increasingly assertive Netherlands at the EU stage. The country, a founding member of the EU, has been repositioning itself as an alternative to the EU's two major forces, France and Germany. "We must always draw the line when fundamental values come under pressure, as they have in countries like Poland and Hungary," he said. 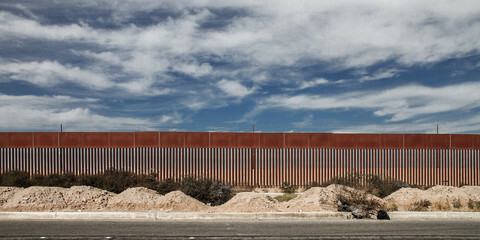 "But a deal is also a deal when it comes to the euro and the Stability and Growth Pact. Because here too, bending the rules can erode the entire system, and we cannot have that," noted Rutte. While he did not mention France and Germany by name, this appeared a clear reference among EU-watchers to those countries - which have been running budget deficits in defiance of the pact. 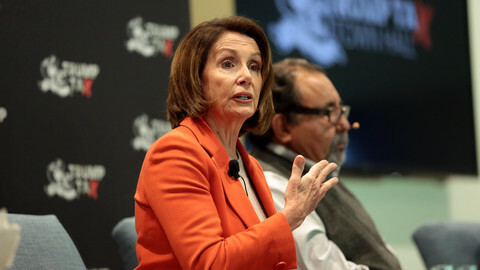 "We need to stand by this commitment, not only because the Americans have a point when they press for a larger European contribution, but above all because it is in our own interest," said Rutte. 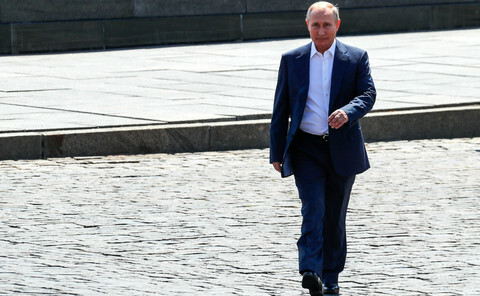 "One of the main problems is that, in many cases, member states and the European institutions are not on the same page, so in geopolitical terms we don't pull our weight as we should and could," he said. The Dutch leader called on his colleagues to "give serious thought to enabling qualified majority voting for specific, defined cases". "Certainly in its own geopolitical back garden, the EU should be a political force to be reckoned with," he said. 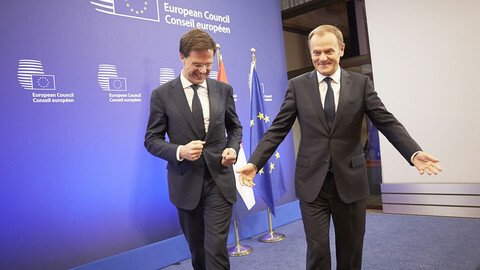 Rutte - from 'Mr No' to 'next Tusk'? 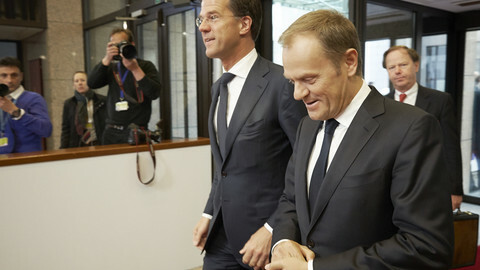 Make no mistake – Rutte, sometimes considered as a potential candidate to succeed Donald Tusk, is one of the toughest of the EU's current heads of state. 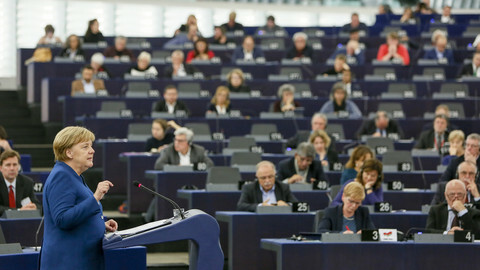 It was Mark Rutte's Dutch premier's turn to share his vision on the future of Europe with MEPs. An emerging EU leader in the post-Brexit bloc called for a more united, but less centralised Europe.